Galaxy Note5: How does S-pen's Air command feature works? S pen features with Air Command. 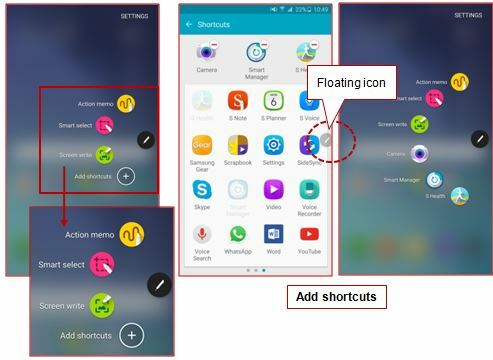 On Galaxy Note5, Air command has been changed to floating icon type. Air command panel. It is possible to add up to 3 applications.